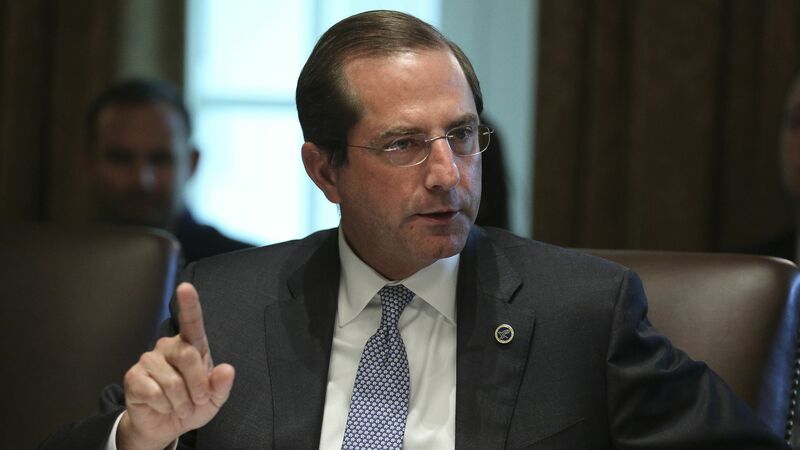 HHS Secretary to knock "Medicare for All"
HHS Secretary Alex Azar will criticize Democrats' "Medicare for All" proposals today, during a speech in Nashville. Why it matters: Medicare and Medicaid administrator Seema Verma also has come out against the idea. It's hardly surprising that they would be opposed to "Medicare for All." But it is somewhat unusual for the people running executive agencies to make such an aggressive case about proposals that exist largely in theory. "Medicare for All" is not a bill working its way through Congress, or some other imminent thing that HHS might have to implement. It's a notional idea gaining traction among Democrats. "It’s clear that Medicare for All is a misnomer. What’s really being proposed is a single government system for every American that won’t resemble Medicare at all ... Under Medicare for All, no one’s even promising that you can keep your plan, or keep your doctor. The main thrust of Medicare for All is giving you a new government plan and taking away your other choices."